The Engineer's Arm's in Broadwater has proved to be a very elusive pub to track down. The rare mentions all fail to point out just where the building was positioned. Thankfully, Michele from the Selden Arms had something even rarer, a picture (left). Information from 'Georgian & Victorian Broadwater' by Ron Kerridge and Michael Standing, which includes a street layout, it showed the Engineers to be listed as number 69 Broadwater Street, next door to the well known Paine, Manwaring the hardware/ironmongers. This later changed to number 3 Ardsheal Road as the area developed. I did take it upon myself to question its position and managed to find supporting evidence and even managed to overlay a map to scale using the known position of the Cricketers as my guide point. All this confirmed that, yes, this was the position but sadly no longer the original building. The property was originally a normal dwelling house. In around 1888, it had been sold to William Tamplin of Brighton and became part of the Tamplin brewery group. 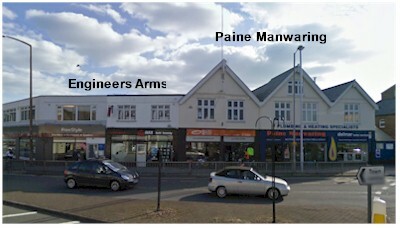 The name Engineers Arms would have come from its position close to Paine Manwaring and Leopard next door. 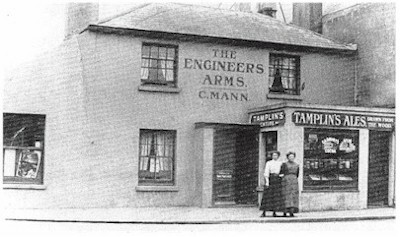 Tamplin's sold the property in 1928, at which time it appeared to cease trading as a public house. Painemanwaring & Co purchased the property in 1938 as they expanded their business. The front of the property was then reformed and converted. "On Saturday the 20th of February 1897 Loyal Brown Boniface the landlord of the Engineers Arms sat downstairs after closing and shot himself in the head with a pistol. The Foreman at the inquest three days later, a Mr G Paine remarked that he had seen the deceased a great deal about the village of late, and was quite sure he was 'off his head'." A verdict was recorded as suicide while temporarily insane. 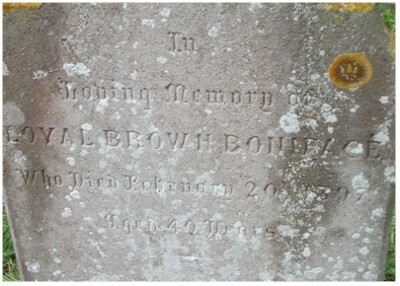 He is buried in Broadwater cemetery, a little unusual for a suicide, but allowed at the time as long as there was no ceremony at the graveside. Olive Marner ran a grocers shop in Broadwater Street in 1861, she had two children and a lodger named Robert Stather. He was a grocer from Yorkshire. On the 3rd of November 1868 he married Olive at St Mary's Church in Broadwater. The 1871 census shows that the shop had changed to an ale House and grocers. Robert Stather is recorded as the publican. 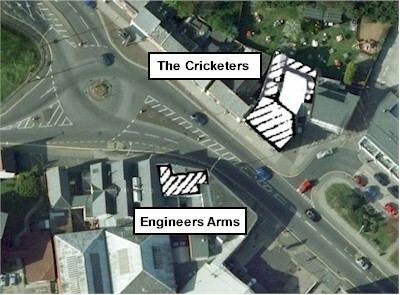 It now seems that the engineers Arms roots may have begun between 1868 and 1871. Special thanks to Steve Harrison and his family tree for the above.